Physical, economic and cultural access to healthy, sustainable food for all people at all times is an essential, but often overlooked societal goal. Policies and programs play an important role in achieving complete food access, from farm to school programs and community food assessments, to comprehensive food plans. Listed below are several on-going and completed projects aimed at improving access to healthy, sustainable foods. Planning for Food Access Research Study. The American Planning Association (APA) was awarded $100,000 from the Robert Wood Johnson Foundation’s Healthy Eating Research Program to identify and evaluate comprehensive and sustainability plans across the country that address food systems issues, specifically food access. 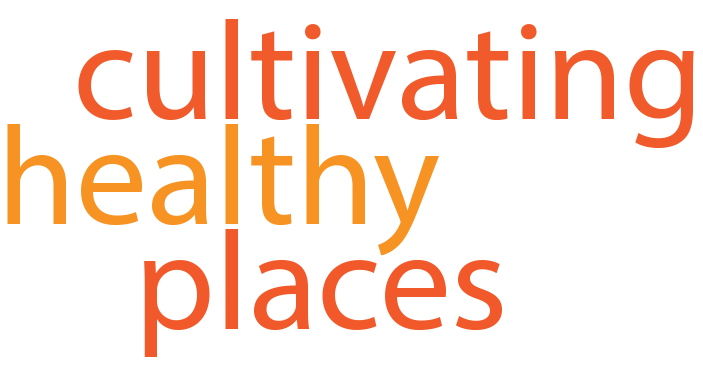 Cultivating Healthy Places’ owner and founder, Kimberley Hodgson, was the principal investigator on this project while she worked at APA, and was hired as a consultant to finish the project. Regulation of Food Access through Comprehensive Planning and Zoning. While a graduate student at Virginia Tech, Kimberley Hodgson authored a report on the role of comprehensive planning and zoning in regulation food access. New York City Health Disparities Training. Developed and delivered a continuing education workshop, titled New York City Health Disparities: The Relationship between Food Availability and Chronic Disease, for a non-profit organization’s community volunteers. Roanoke Valley Farm to School Program. In collaboration with Downtown Roanoke Inc., initiated and developed the Roanoke Valley farm-to-school program to (1) enhance the quality and quantity of fresh fruits and vegetables available to students, (2) reestablish the connection between health and the foods students eat, (3) displace the use of canned fruits and vegetables in school cafeterias, and (4) offset the impact of unhealthy food available in school cafeterias.